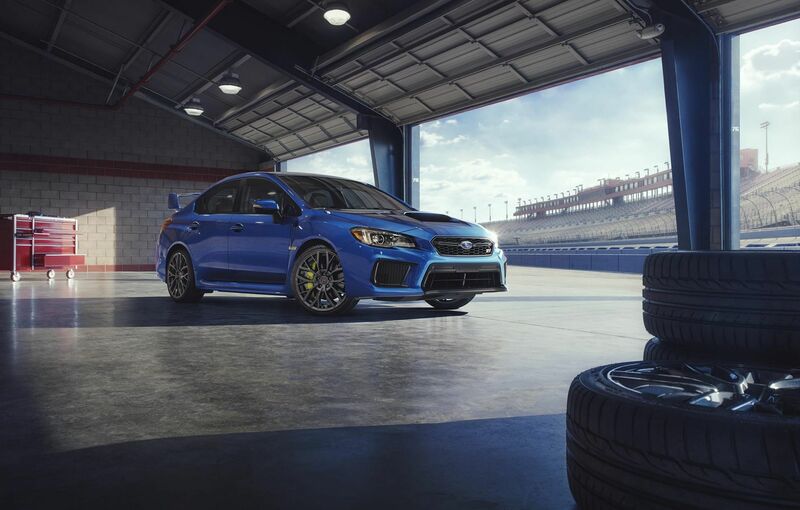 Discover the all-new 2018 Subaru WRX STI and see everything it has to offer compared to its rivals, including the 2018 Volkswagen Golf R! Always synonymous with performance, the WRX STI is the ideal car for anyone wishing for a fun-to-drive vehicle with a stunning design. 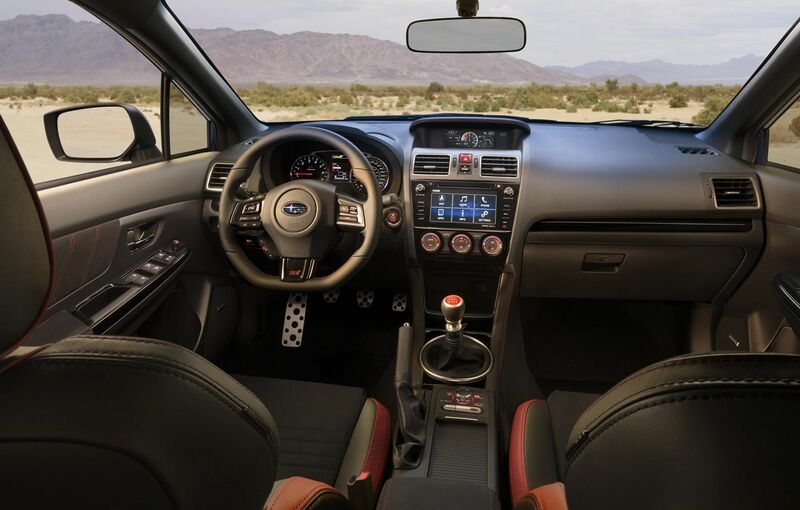 Don’t wait anymore and book your test drive of the 2018 WRX STI right now at your Subaru Montréal dealership, near downtown and the West Island! 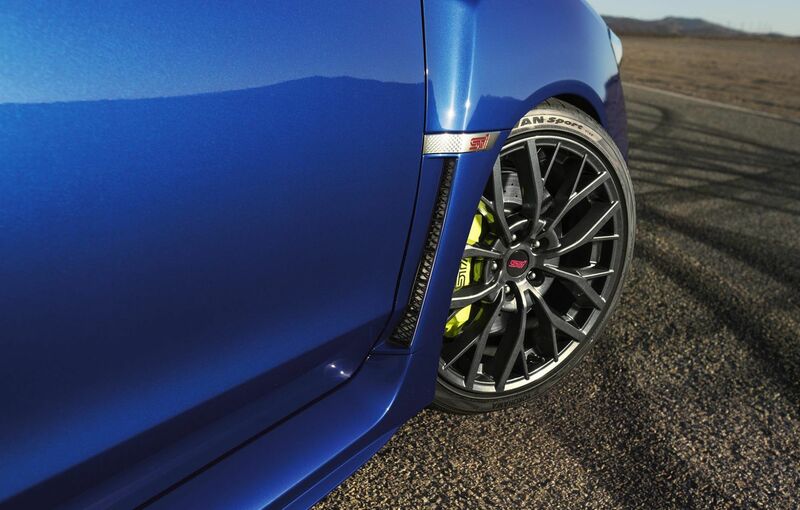 In the meantime, here are a few STI features. Its rival, the 2018 VW Golf R, has a respectable 292 horsepower, but it is not enough to catch up with the power of the WRX STI, whose powerful 2.5-litre turbo 4-cylinder engine peaks at 305 horsepower and is paired with a manual transmission to offer an even greater exhilarating driving experience! What is more, you will get the legendary symmetrical full-time all-wheel drive, for which Subaru has been famous for decades. Hence, as sporty as it is, your WRX STI can easily face any weather conditions! Come test drive it today! We are located near Laval and the North Shore. 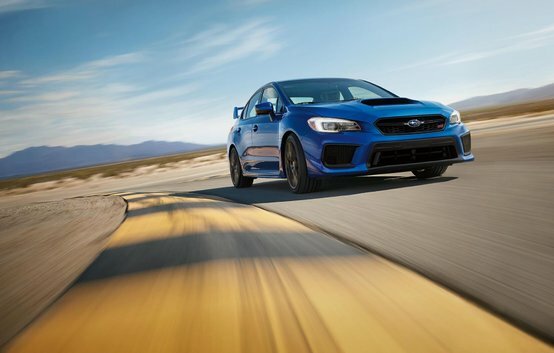 The WRX STI received the Superior rating from the IIHS in terms of front crash prevention; it was also awarded the Top Safety Pick+, still by the IIHS, when equipped with the EyeSight driver-assist safety system. The latter offers, among others, Adaptive Cruise Control, Pre-Collision Braking, Lane Sway Warning and so much more. With its driver-oriented cockpit, its performance-designed Recaro front seats with power adjustments, its 5.9-inch LCD display with intuitive controls that tracks the vehicle’s performances, the interior of the WRX STI has no reason to envy the Golf R! You will also find, depending on the selected options, a 7-inch touchscreen infotainment system with navigation, push-button start, a 440W Harman Kardon amplifier, dual-zone automatic climate control and a rearview camera, just to name a few. You will also enjoy a rear cargo volume of 340 litres. 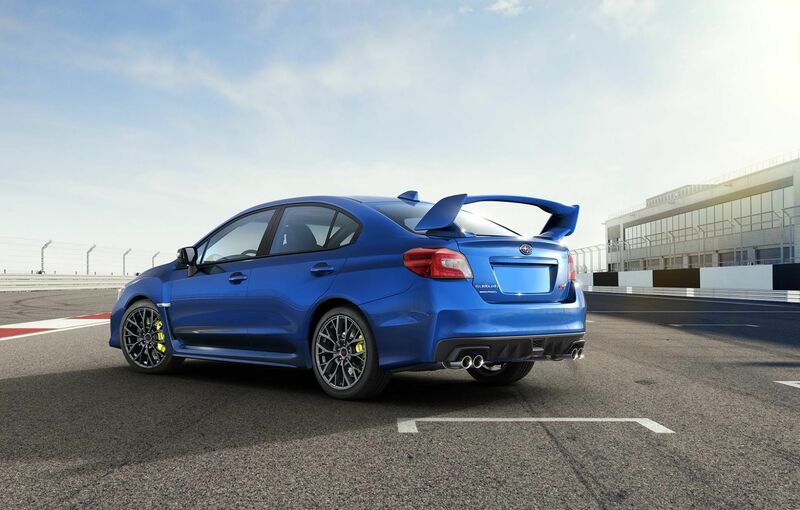 The quad exhaust and wide, low stance of the WRX STI, its tail and brake lights as well as its high-profile rear wing spoiler all contribute to give this vehicle an exceptional sporty look, that lives up to its performances. Come test drive it today at Subaru Montréal! On location, you will also benefit from our diverse Subaru financing plans as well as our most advantageous Subaru promotions. Don’t wait anymore and come see us right now at Subaru Montréal, near Laval and the North Shore, and see everything the 2018 Subaru WRX STI has to offer over the 2018 VW Golf R!